After first acquiring Motorola Mobility in 2012, Google has today announced that it will sell the business to Lenovo for US $2.91 billion, a figure dramatically lower than the US $12.5 billion that Google paid to acquire the brand. Explaining the decision today, Google CEO Larry Page said the search giant originally acquired Motorola “to help supercharge the Android ecosystem by creating a stronger patent portfolio for Google and great smartphones for users”. However, Page admitted that “the smartphone market is super competitive” and a company needs to be “all-in” when it comes to making mobile devices. Recognising the strength of Lenovo’s hardware business (and its leadership as the fastest growing PC manufacturer in the world), Page said the Motorola brand would be “better served” by Lenovo. Going some to explain the significant depreciation in Motorola Mobility’s sale value, Page said Google would retain the vast majority of Motorola’s patents, which were a key reason for buying the brand in 2012. (“Our acquisition of Motorola will increase competition by strengthening Google’s patent portfolio, which will enable us to better protect Android from anti-competitive threats from Microsoft, Apple and other companies,” Page said following the original acquisition). Google has committed to a “business as usual” approach until the sale is finalised. For its part, Lenovo is eyeing off the lucrative smartphone market, with the company’s chairman and CEO Yang Yuanqing saying the acquisition held the promise of strong growth. The acquisition of such an iconic brand, innovative product portfolio and incredibly talented global team will immediately make Lenovo a strong global competitor in smartphones. We will immediately have the opportunity to become a strong global player in the fast-growing mobile space. While Motorola relaunched its successful Razr clamshell phone in 2012 as a 4G-enabled smartphone (with help from Google), the company’s heritage in communications goes back more than 80 years. 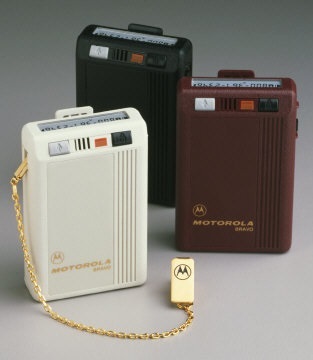 Motorola has pulled together a timeline of all its technological achievements on its website — from the Car Radiotelephone of 1946 and the 1960 Astronaut TV to the World’s First Commercial Portable Cellular Phone in 1983 and the truly daggy Bravo Pager. For the retro tech fans out there, it’s definitely worth a look. 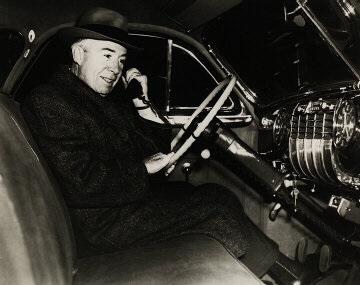 1946: The Motorola Car Radiotelephone. 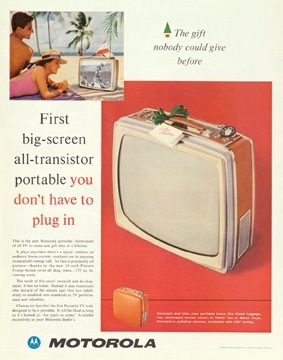 1960: What did we all do before we could give the gift of Astronaut TV? 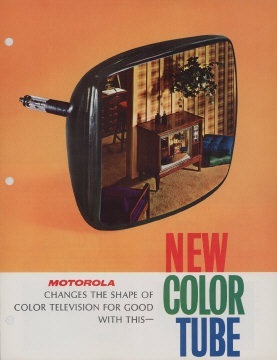 1963: The world’s first truly rectangular colour TV tube. 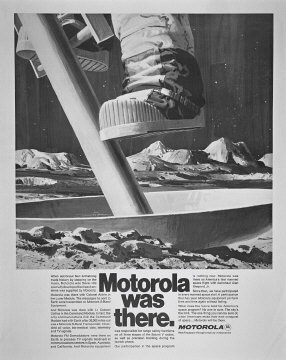 1969: A Motorola radio transponder relayed the first words from the moon landing down to Earth. 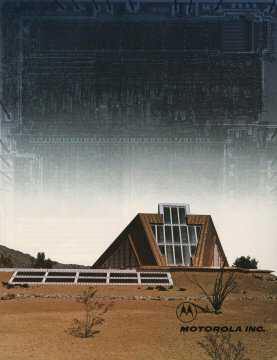 1980: Motorola sponsored the Ahwatukee Experimental Home in Arizona, America, with the company’s technologies controlling electrical systems, entertainment and security in the house. 1986: The ever-stylish Bravo Pager.